BEIJING - Reiterating that the Kashmir issue must be resolved bilaterally by India and Pakistan through bilateral talks. On Pakistan's request, the Organisation of Islamic Cooperation (OIC) had again recently called for the implementation of a UN resolution on the dispute. Reacting to OIC's call, Chinese foreign ministry spokesman Lu Kang said the Kashmir issue should be resolved bilaterally. Lu said, "China has noted the relevant report. China's position on the Kashmir issue is clear-cut. ""The Kashmir issue is left over from history. 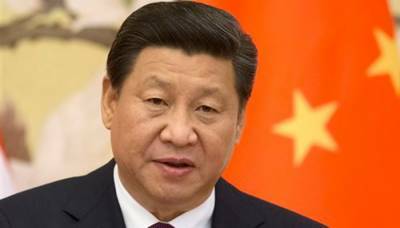 China hopes India and Pakistan can increase dialogue and communication and properly handle relevant issues and jointly safeguard regional peace and stability," he added. Pakistan, which is a member of the OIC, had urged the 57-member grouping to raise the issue at the ongoing United Nations General Assembly (UNGA). OIC had met on the sidelines of the UNGA two days ago. Earlier in the day, addressing the 72nd session of the UNGA in New York, Pakistan Prime Minister Abbasi said that Islamabad is open to dialogue with India on all outstanding issues including Jammu and Kashmir . During his 20-minute speech, Abbasi had urged the United Nations to appoint a special envoy for Jammu and Kashmir to keep a track on alleged India's 'atrocities' on the Kashmiris. The Pakistan Prime Minister also demanded an international investigation to look into the alleged atrocities and crime committed in Jammu and Kashmir . "We ask the UNGC and the high commission of the human rights to send an enquiry commission in Kashmir to verify the nature and extent of India`s human right violations. Secure the punishment of those responsible. And provide justice and relief to the victims," he said.